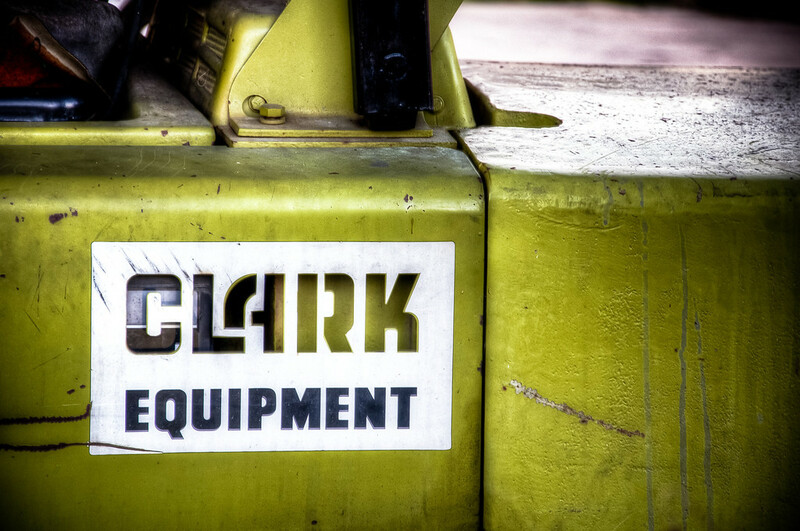 Clark Equipment | Just Shooting Memories! It is rare that I run across anything with my first name. A little less rare with my last name. However, there is a line of fork lifts made by Clark Equipment. I ran across this one on one of my recent adventures. I love the texture of the metal and then the cut outs for the letters.